If you love to eat fresh, delicious and free, the time is now! 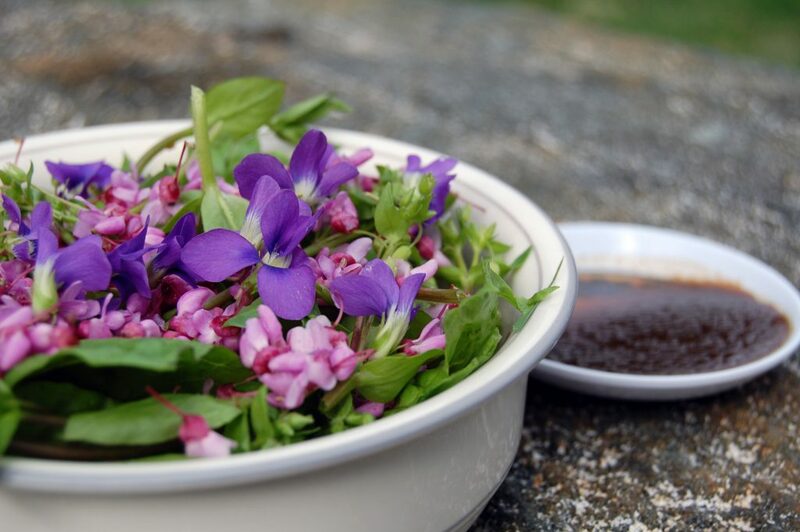 Spring is when all things beautiful and verdant come to life and you’d be surprised how many of the plants in your backyard and community are edible and often downright tasty. 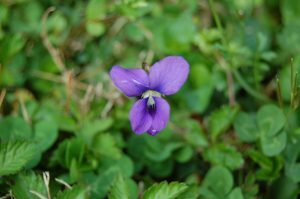 This post features three of my favorite wild finds: purple violets, chickweed and red bud. Together with some conventional lettuce and my favorite vinaigrette, these edibles make a salad that is as tasty to eat as it is beautiful to look at. I picked two of the three wild edibles in this salad right from my lawn. 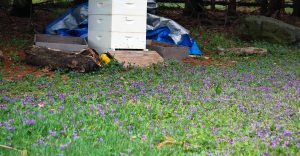 We happen to have a whole field of violets right now. And I was super excited to learn this year that you can eat violets as long as they are purple! Violets lack flavor compared to some other wild edibles you can find, but they are gorgeous! And considering we all eat with our eyes first, they are a tantalizing showstopper when contrasted with a background of greens. 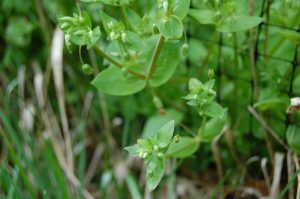 Besides violets, we also have a lot of chickweed that volunteered to grow in our vegetable beds this spring. 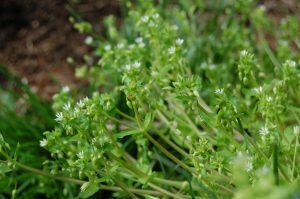 While the humble chickweed is less showy than violets, it is fresh, nutritious, crunchy and easy to eat. I like to mix it with lettuce as a base for a hearty tossed salad. Finally, I added my favorite spring wild edible: red bud flowers. 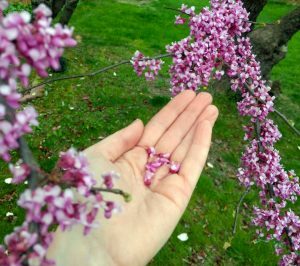 The small, purplish blooms of the red bud tree are fun to eat right off the branch by the handful. 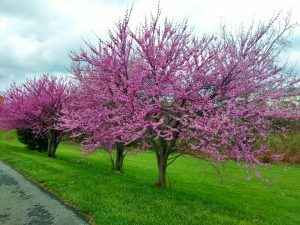 Like violets, the purple color of the red bud blooms offer a brilliant contrast to greens in a tossed salad. And even better, red buds have a lively and distinct flavor that starts off sweet and vegetal and ends with a bright, tart pop of flavor. Yum! So the next time you come across a red bud tree, I highly recommend picking and trying some buds. You might just find a new favorite spring snack or salad topping! So what about you? 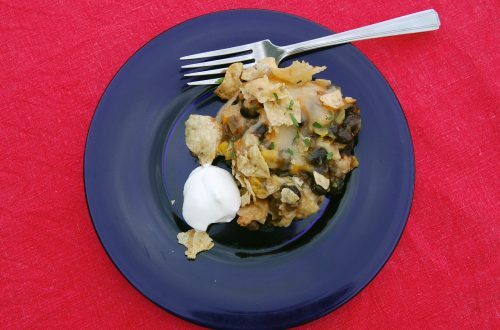 Do you like to forage in the wild? If so, what are some of your favorite finds?